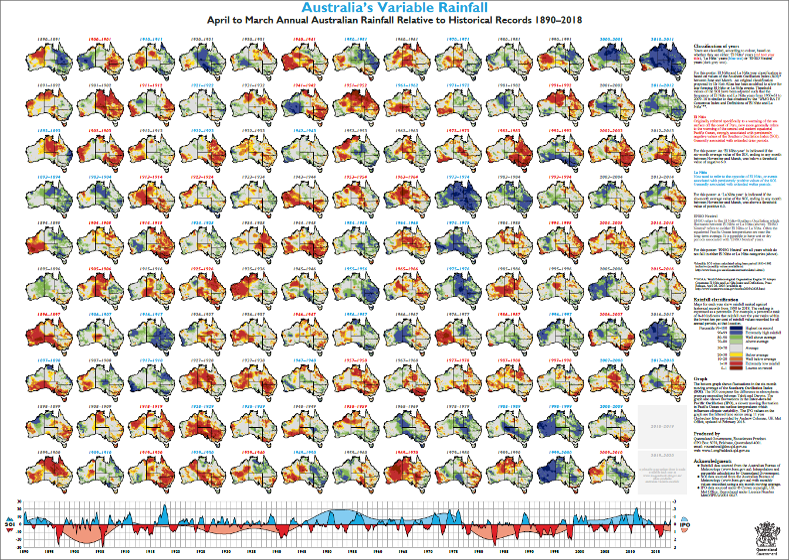 This version of Australia's Variable Rainfall Poster depicts twelve monthly rainfall (April-March) in maps for the years 1890 through to 2018 alongside a graph of Southern Oscillation Index and Interdecadal Pacific Oscillation values. 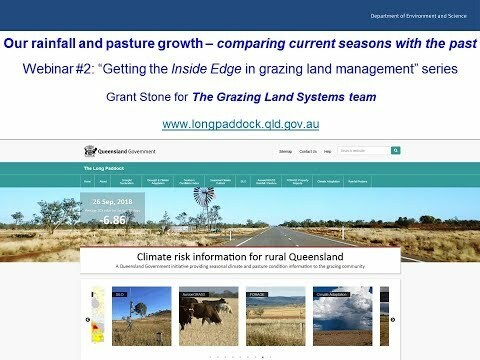 Note: This poster replaces previous versions that covered periods 1900 to 1997, 1890 to 2004, 1890 to 2013 and 1890 to 2015. 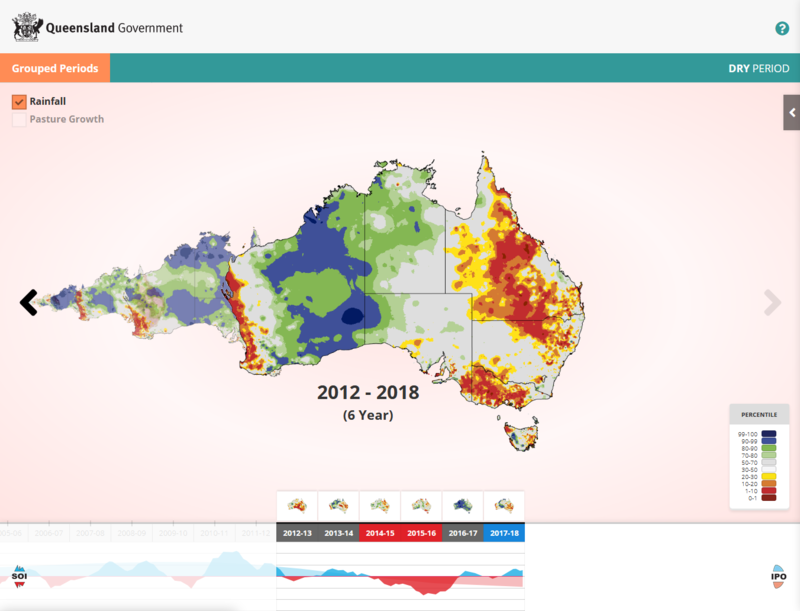 The April to March period best captures El Niño–Southern Oscillation (ENSO) periods and is useful in most areas of the country.